Here is a quick and easy side dish made with quinoa that looks great on a holiday table. The recipe is very flexible. If you don’t like cranberries, substitute dried cherries. Instead of walnuts, you could use almonds or any nuts you have on hand. The possibilities are endless! 1. Bring veggie stock and ¼ teaspoon salt to boil in saucepan. Add quinoa, cover, and simmer about 20 minutes, until liquid is absorbed. Let stand a few minutes off the heat; fluff with a fork. 2. Melt butter in large skillet. Add leek, celery, remaining ¼ teaspoon salt, pepper, and sage. Cook about 10 minutes or until the veggies are tender. Add the minced garlic and cook for another minute. 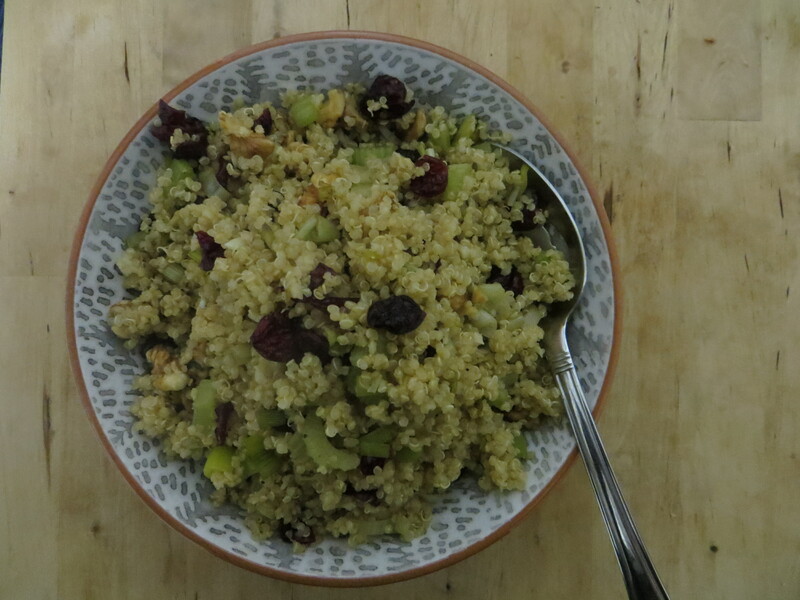 Then, stir in the quinoa, cranberries, and walnuts. Cook until everything is heated through. Enjoy! 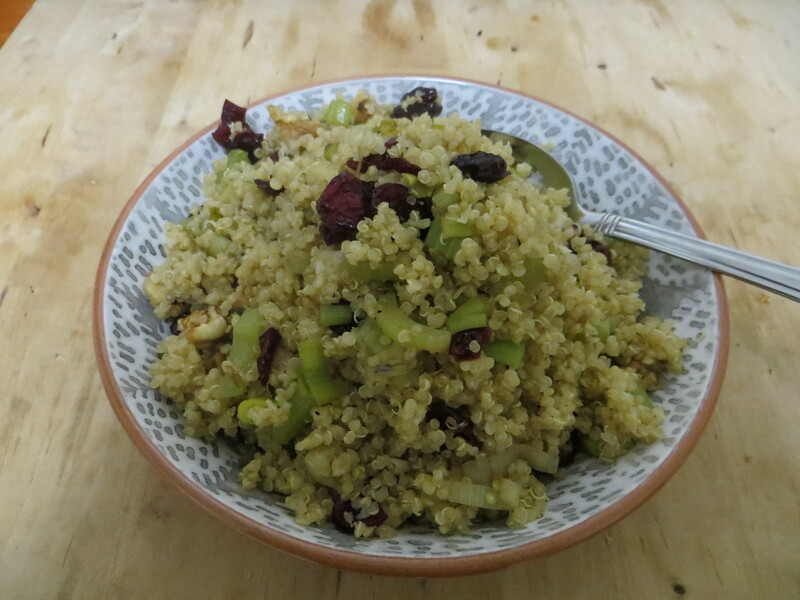 Categories: easy, holidays, quinoa, vegetarian | Tags: cranberries, easy side dish, holidays, leeks, quinoa, vegetarian | Permalink.